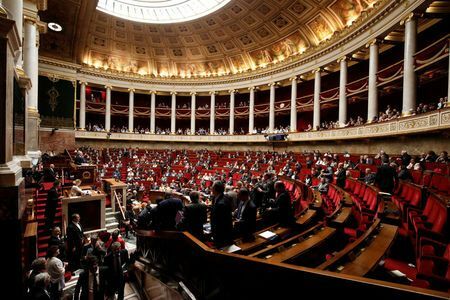 PARIS: France’s National Assembly voted overwhelmingly in favor of a bill to overhaul the state-run SNCF railway company on Wednesday, backing President Emmanuel Macron’s efforts to break the unions and reform the economy. The bill, which the upper house Senate will approve in a vote on Thursday, turns the SNCF into a joint-stock company, giving its management greater corporate responsibility, will phase out its domestic passenger monopoly from 2020 and put an end to generous benefits and pensions for future employees. The legislation, the most fundamental reform of the 150,000-strong company since nationalization in the 1930s, has been pushed through over the objections of unions, who have carried out nearly three months of strikes against the reforms.